Logistics needs intelligent management to ensure that goods are in the right place at the right time worldwide. From groupage freight to full loads, from standard dimensions to special transport and from scheduled services to express. Use our entire network for your success, we transport your shipments safely and punctually with national and Europe-wide uniform standards. Where possible, we combine the modes of transport, for example linking rail and truck transports to form intermodal solutions. In addition to pure transport, we are also active as a full-service provider and accompany your entire supply chain from procurement through production, disposal and distribution to after-sales business. "Think logistics differently - master diversity" - we would be happy to present our ideas, approaches, concepts and services in a personal meeting. 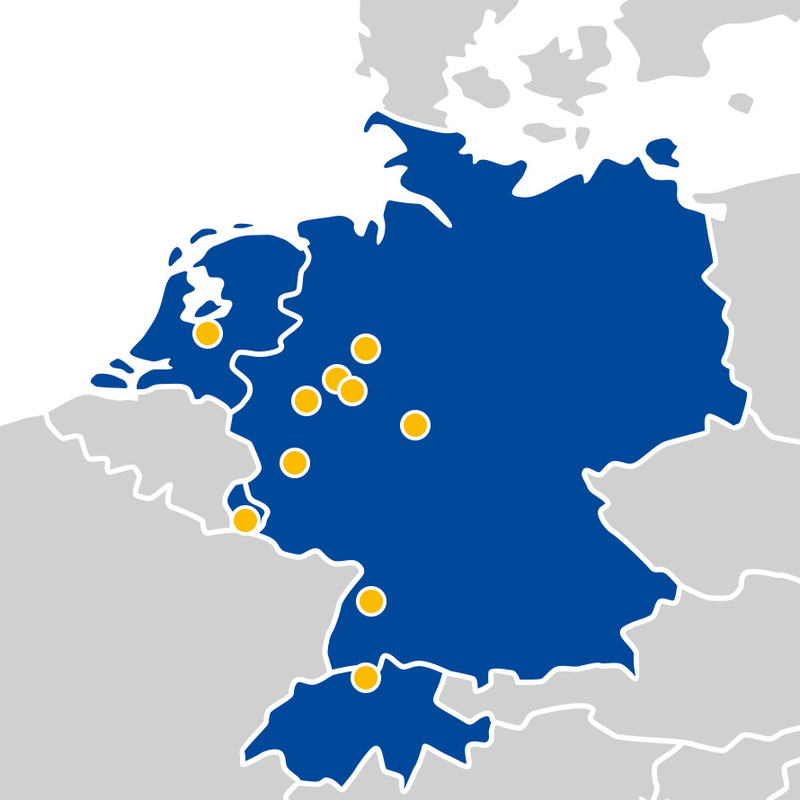 We operate on a daily basis across Europe, offering fixed capacities and high flexibility. We deliver part and full loads in addition to general cargo to and from any point in Europe at any time. With our products, Rhenus Premium, Rhenus Classic and Rhenus Fix, we provide you with a tailor-made concept for groupage freight transport in Europe, based on direct and regular departures with reliable lead times. We would be delighted to offer you more information about our wide range of services. And with our online tracking, you always know exactly where your goods are, from collection to delivery. The Rhenus Port Road division offers you tailor-made solutions for your mass and bulk goods transport. With our own fleet, cooperation with carriers and the competence of our transport managers, we are able to organise a large number of transports. Our own fleet of vehicles is also equipped with telematics systems, which enable us to provide our customers with timely information about the location of the goods. We are particularly specialised in goods from the circular-flow economy, wood, peat and pig iron. We move these with tarpaulin, tipper, silo, tank, sliding floor and roll-off container vehicles in national and international traffic.